Still not home. I went over yesterday after lunch only to find Kate struggling to eat a bite of a bacon sandwich. She couldn’t keep that down, water either. Extremely unpleasant for her. Kate hates nausea. When I went in yesterday, the busy M-F buzz of the hospitals had disappeared. There were fewer cars in the parking lot, a guard at the concierge desk, the Ortho small cafe closed. Nobody bustling about guiding patients, taking preop folks back, people with canes or walkers stayed at home. 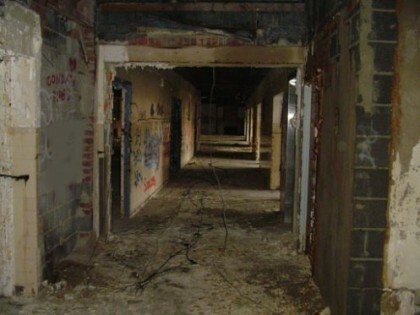 On the third floor, patient rooms, only a scattering of folks remained, three that I counted on Kate’s wing. It’s disconcerting to have Kate in a place that feels emptied of its vitality, just when she’s having trouble. Being in a hospital over a weekend is not something you choose. Meanwhile, after a full Sunday of lying around stoned, looking pretty damned unpleasant, Gertie’s tail wags furiously (normal) and she ate. Back to normal after a trip to the late ’60’s. Kep sniffs Kate’s side of the bed. 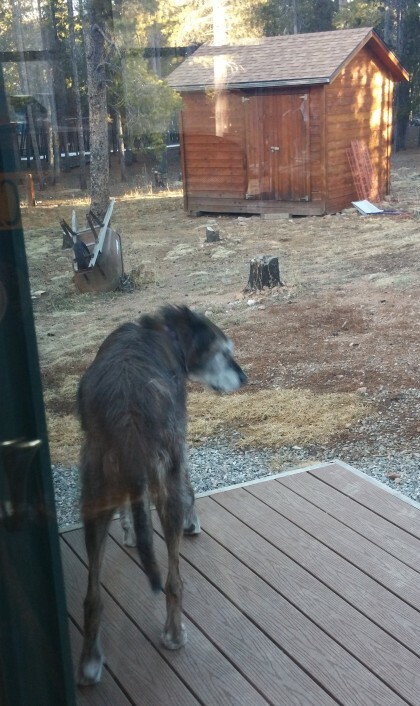 On Thursday, the day of Kate’s surgery, I left Rigel and Gertie outside while I was at Ortho Colorado. Staying outside that long, several hours, is unusual for them. When I let Rigel inside, she ran to the couch, jumped up on it, jumped in the air a couple of times, then flopped down into her usual position. Ah. I hope Kate comes home today. Having her in the hospital, uncomfortable, makes this whole process feel suspended. When she’s home, I know her shoulder will be recovering, right now its her system adjusting to the insults of surgery. Not where we wanted to be right now, but what is.